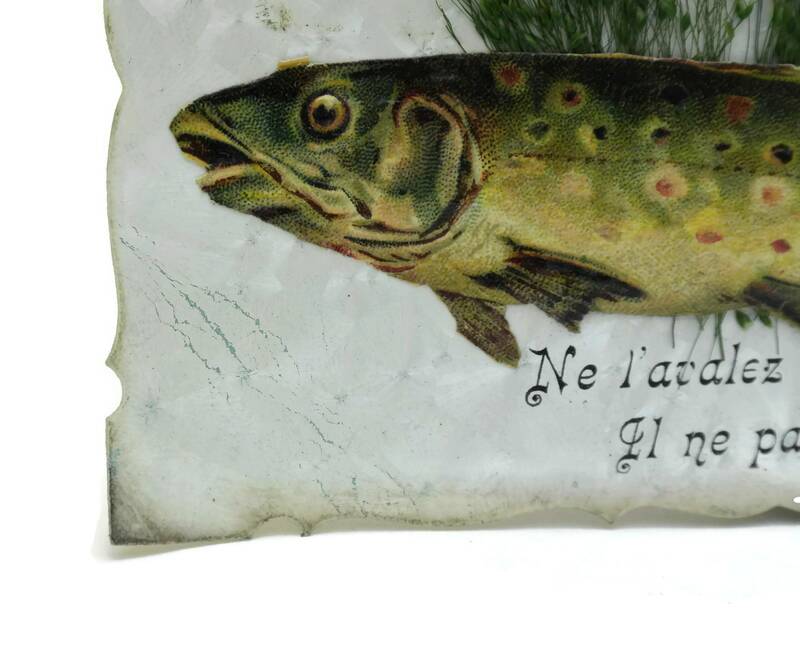 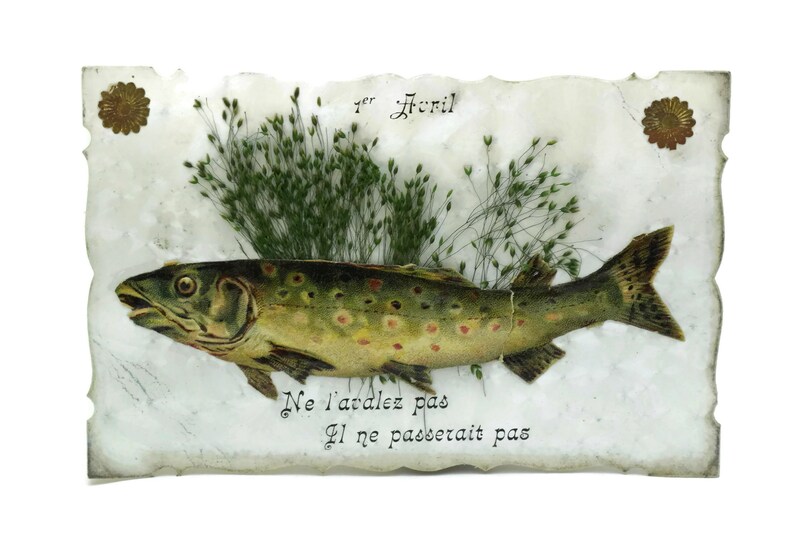 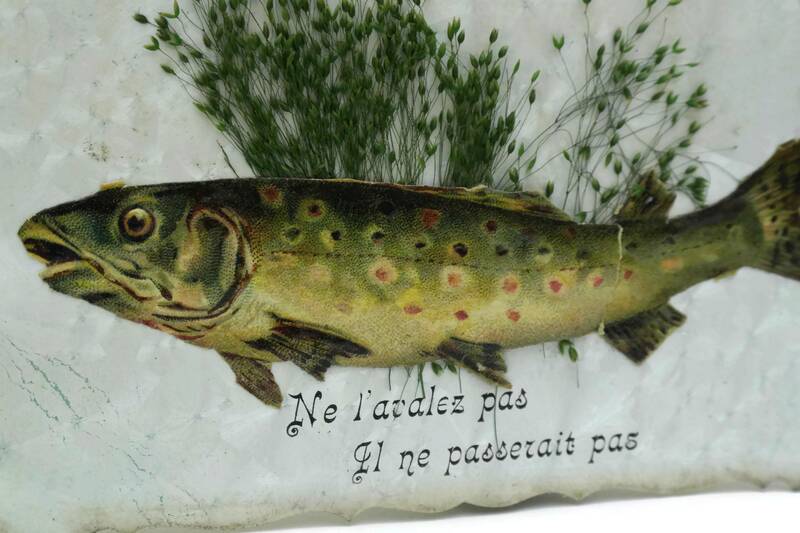 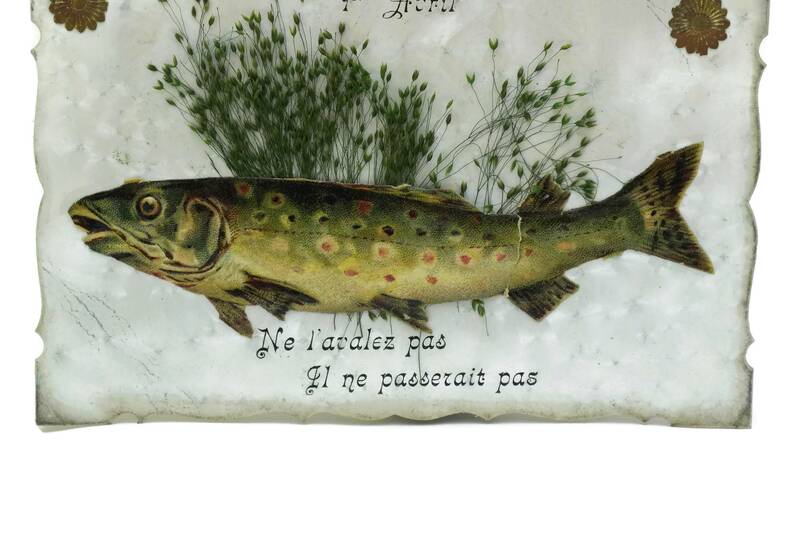 A charming antique Poisson d'Avril postcard printed in France in the early 1900s. 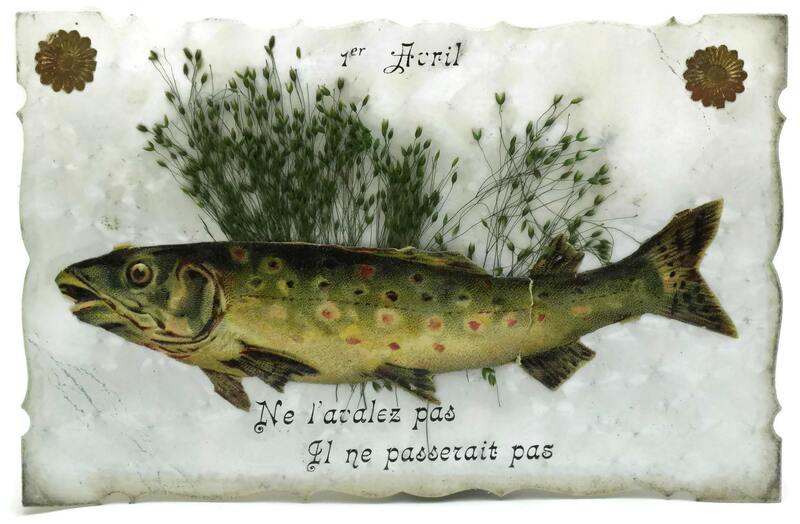 It was originally sent as a French April Fool's greeting card as the 1st of April is traditionally celebrated with a fish symbol. 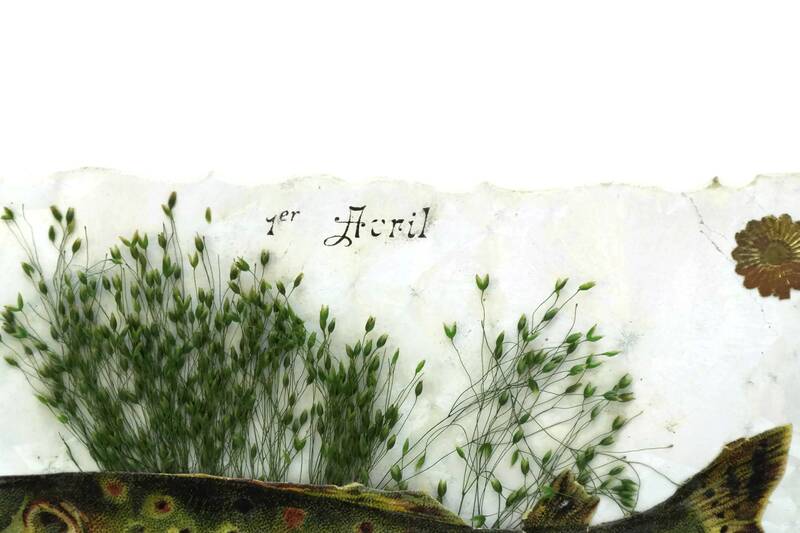 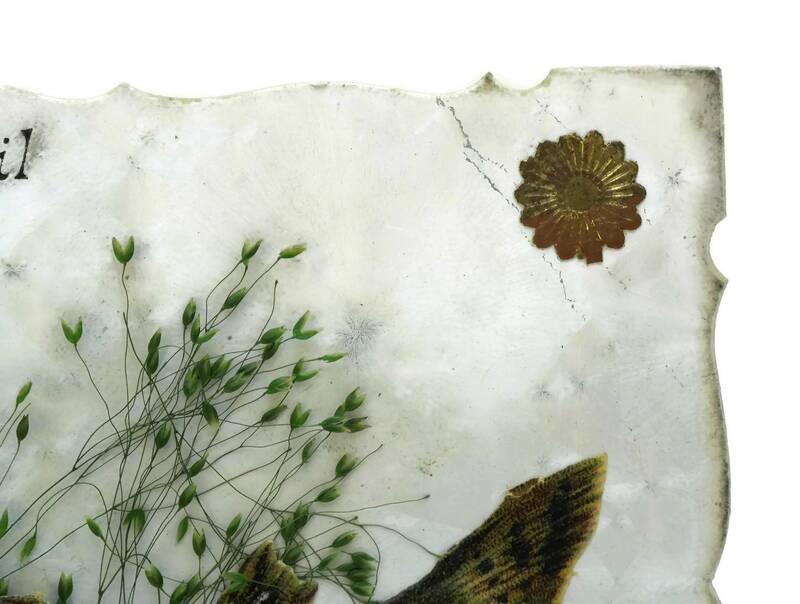 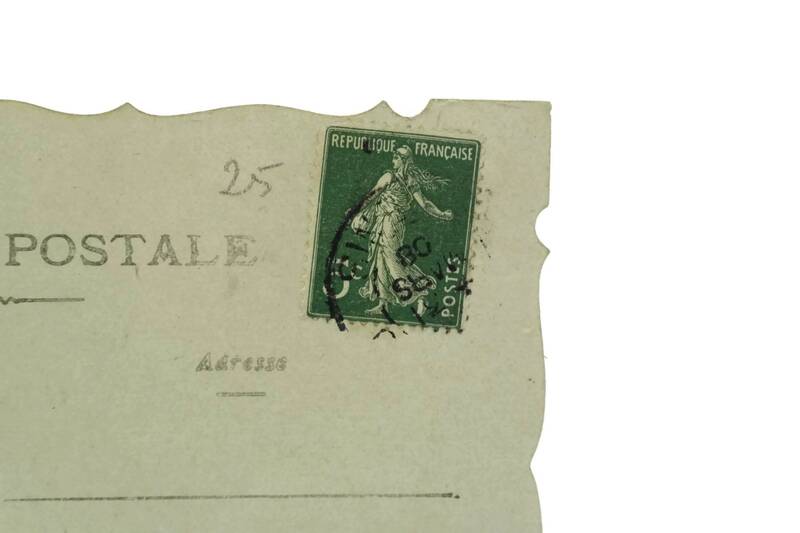 The post card has been decorated with a Victorian cut out illustration and dried grass. 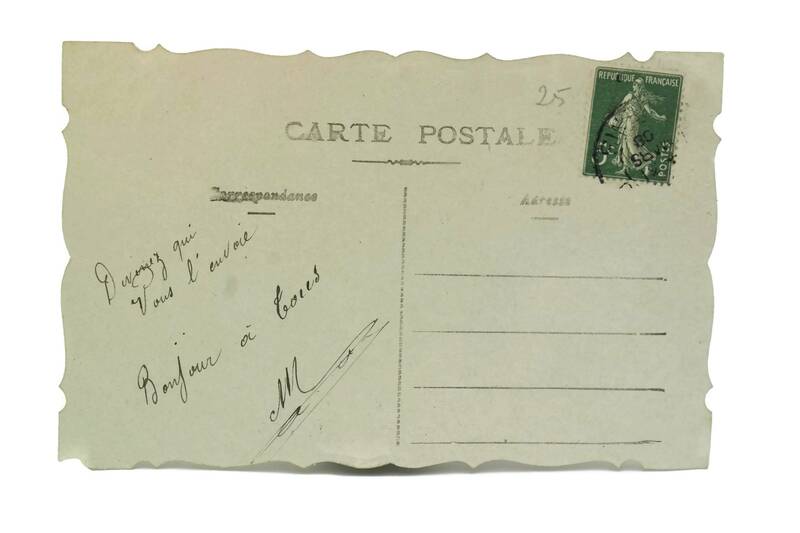 The card has been used and postmarked with a hand written message on the reverse side.